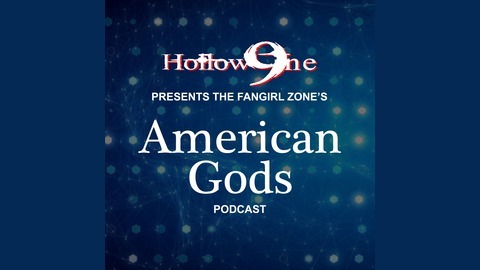 HOLLOW9INE PRESENTS...The FanGirl Zone’s American Gods Podcast featuring Shawn FanGirl S and Hollow9ine’s Gomez (Not Addams) and Jennifer 9ine. Listen as they discuss the hit Starz tv series based on the Neil Gaiman novel of the same name, “American Gods”. Join the Discussion by Sending Listener Feedback >www.FanGirlZone.com. 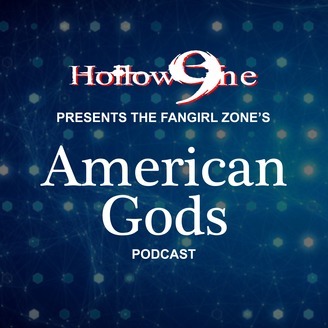 Hollow9ine joined the Pantheon as they covered the American Gods Q&A Panel featuring Ricky Whittle (Shadow Moon), Demore Barnes (Mr. Idis) and Bruce Langley (Tech Boy) from the hit Starz original series at Dragon Con 2018.